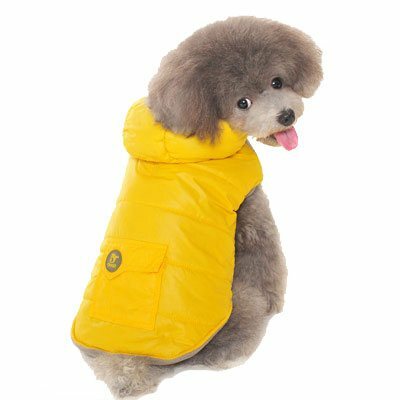 Sleeveless sports dog parka featuring water resistant outer and warm fleece lining. The Dashing Dog Parks has a velcro strap for quick on and off. 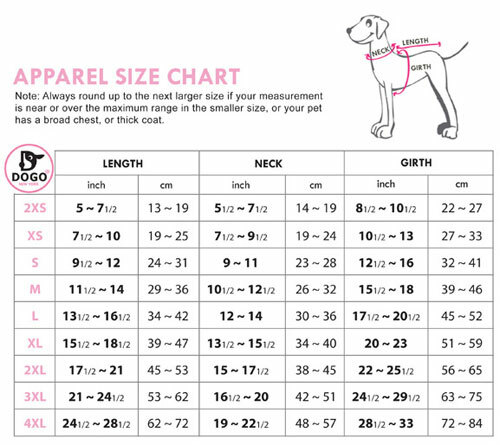 Dogo's sharp girl dog coat also has a removable hood, functional back pocket, and a leash hole. Reflector stripes add to design and safety. Available in yellow or red and sizes xs- 2x.